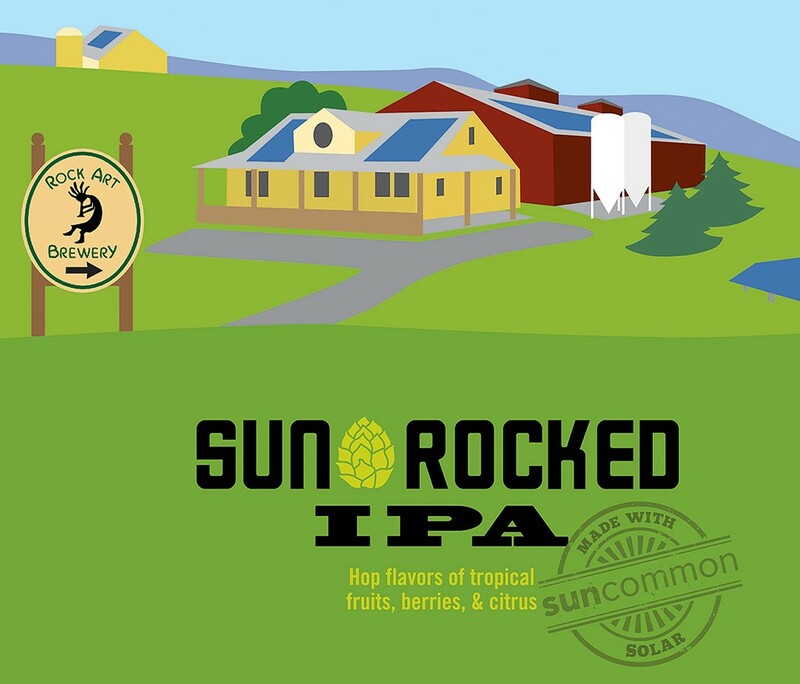 Rock Art Brewery in Morrisville is the first brewery in Vermont to be fully powered by the sun, according to the Vermont Brewers Association. The brewery switched to solar energy for its production needs last week and now uses 100 percent electrical solar power to brew and can its beers. Rock Art was founded 20 years ago by Matt and Renee Nadeau, a married couple who met at Johnson State College. "We ordered all kinds of birthday presents for the 20th birthday of Rock Art," Matt Nadeau said. Among them was the roof installation of a 67-kilowatt system that consists of about 200 solar panels, he continued. The solar array, installed by Waterbury-based SunCommon, covers 75 percent of the brewery's roof. Since its switch to solar power, Rock Art has generated power in excess of its needs, Nadeau said, and contributes the remainder to the electric grid. "Solar is something we've always been intrigued with," he noted. Decades ago, he added, his grandfather, Albert S. Nadeau of Johnson, used renewable-energy sources such as water and wind for various projects. The first solar-produced beer out of Rock Art will be available June 27 at the brewery, Renee Nadeau said. Stores will stock the 6 percent ABV Sun Rocked IPA, which she called a "great summer option," by the end of next week. "For Renee and I, this is something we believe in," Matt Nadeau said. The original print version of this article was headlined "Solar Suds"